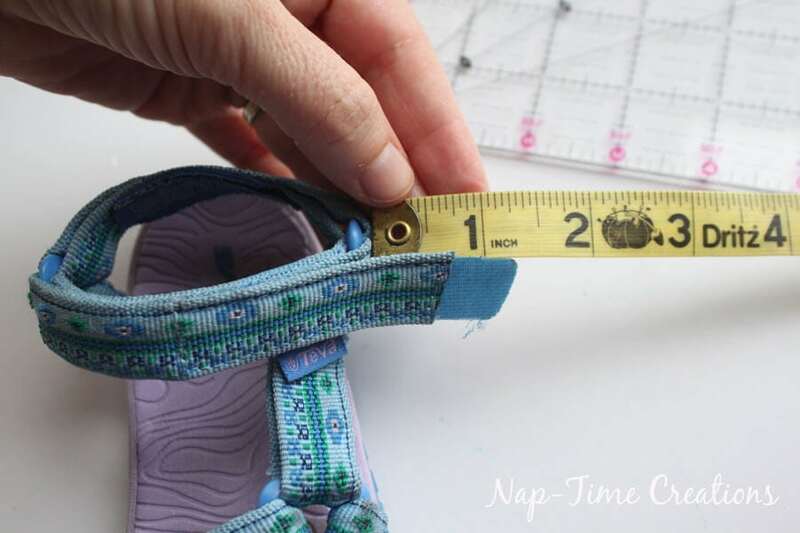 Measure how much you want to take out of each strap. Instead of from the end, you want to trim that much from the middle. 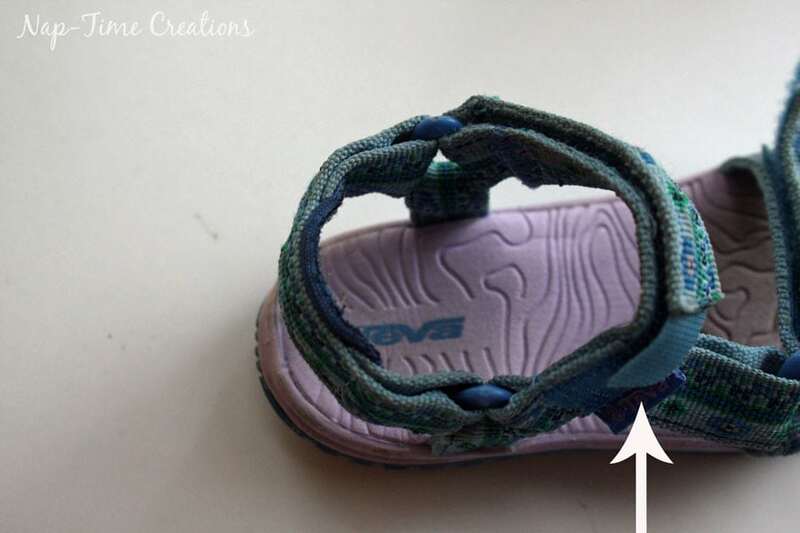 Cut next to the velcro on the end that is attached to the sandal. Remove the desired length. 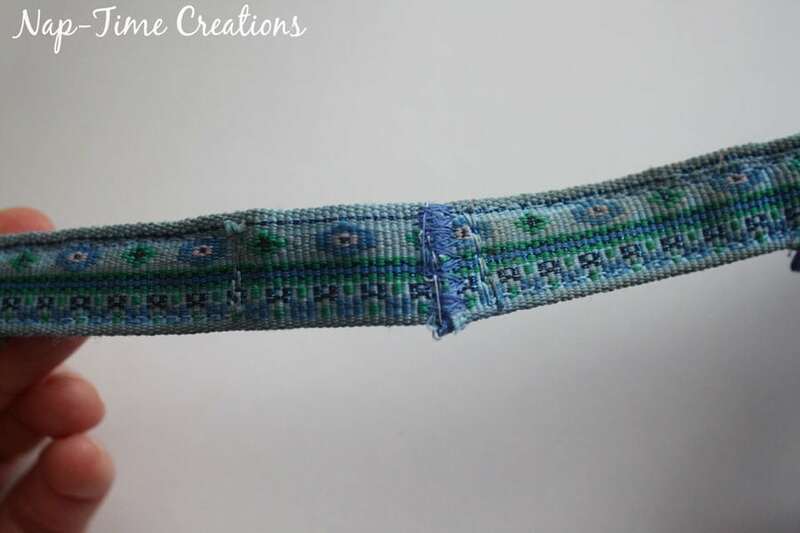 With your sewing machine set to a zig-zag stitch, put the cut ends of the strap together and sew. Go back and forth with a wide zig-zag a few times. 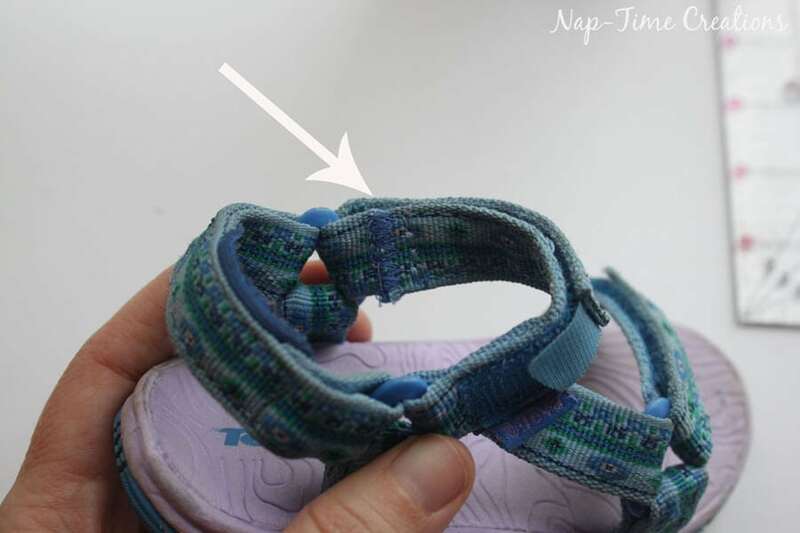 Try not to overlap, as that will make the strap to thick. Coordinating thread is best, even though you won’t actually see this stitching. Thread the strap back and close. Now the strap is shorter and the stitches are on the inside. 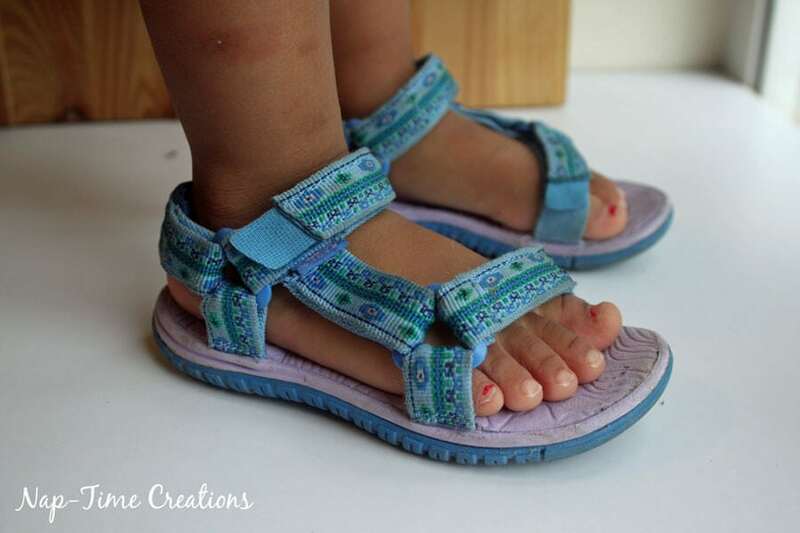 No one will know and the straps look SO much better on these sandals. 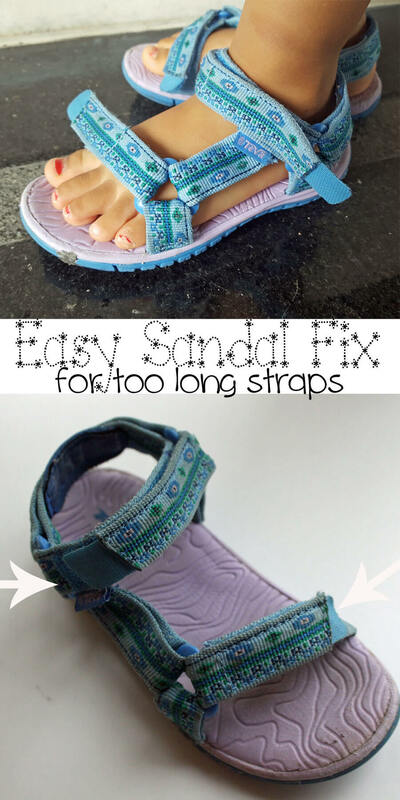 I’m not joking when I say this is a QUICK sandal fix. 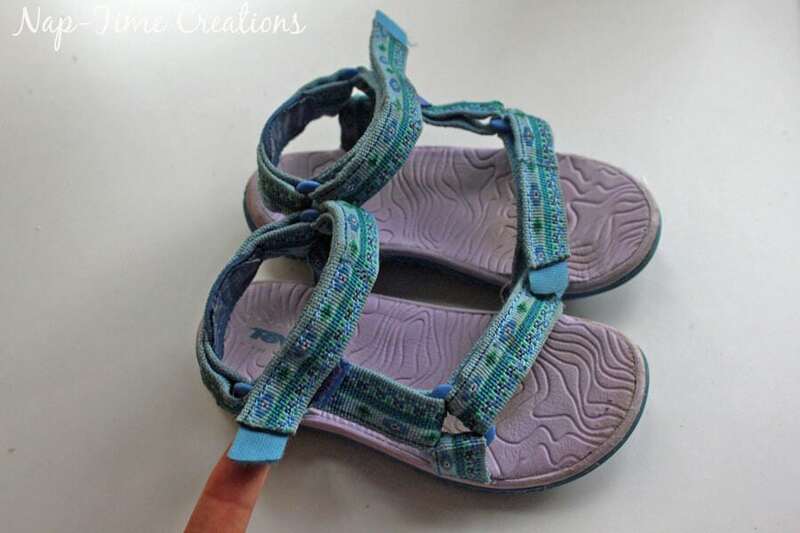 I also did the front toe straps and love the way this turned out. 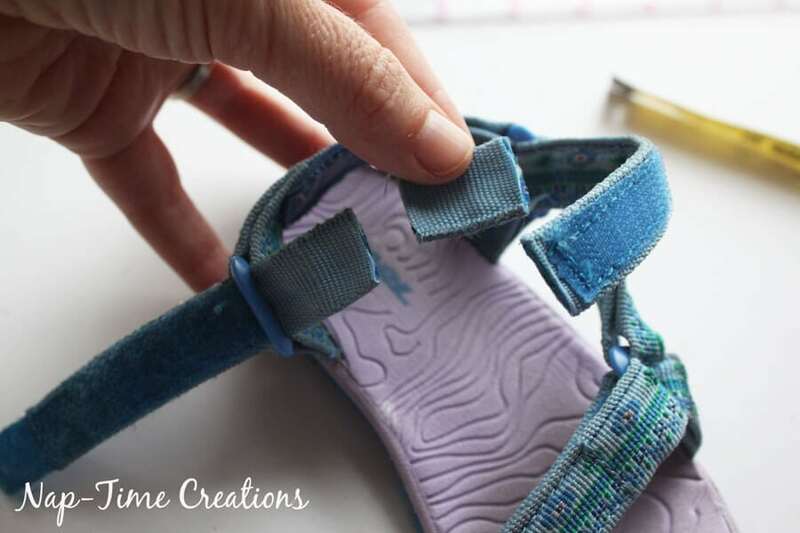 My kids always had this problem when they were small and I never thought to try a fix like this (I’m having a “doh” moment!) I just used to let the straps flap, this looks SO much better. Perfect! 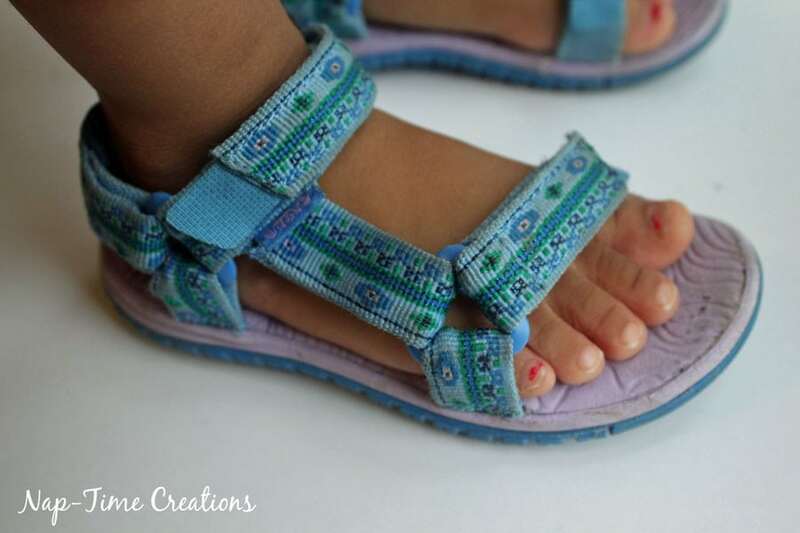 And what a great way to reverse the idea for sandle straps that are too short for wide feet! Enjoy ones site as its directly to the point but not teahcicnl. Iâ€™m keen on gadgets as well as anything tech connected thats the reason why i posted right here. are you carrying out some sort of up-date soon because I am engaged in your niche. 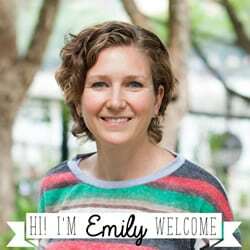 I am going to return before long and even sign up to your blog. cheers. I am Carl’s first cousin. I am so happy to see that something is finally going to be done about this “woman”. He did not deserve any of this, he was one of the nicest people you could ever meet. We love him and miss him soooo much. I would appreciate updates about the trial if possible. I’m in New Jersey. Thank you for all of you that care! Thank you for this post–I am also confronting this same challenge. I believe resolution resides in the notion of persistence and focus. My approach is a bifurcated effort: I leverage SMM as a conduit to gain more brand advocates, while perpetuating content that features the other services offerings we provide to the same channels, with the addition of highly niche online communities.